SAR’s Student Advocacy Seminars provide university and college students with the opportunity to develop human rights research and advocacy skills through direct engagement on behalf of threatened members of the global higher education community in cooperation with SAR’s Academic Freedom Monitoring Project and Action Campaigns. 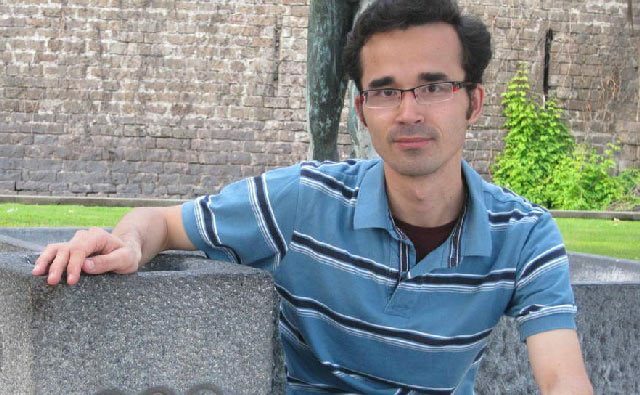 Omid Kokabee, an imprisoned Iranian post-doctoral student, was released in 2016 following years of advocacy efforts, including by SAR student advocates. 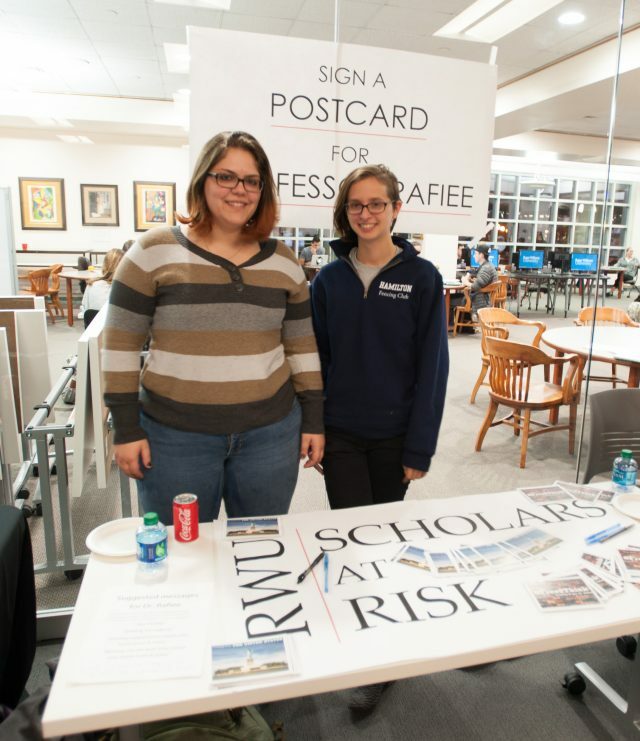 Students from Roger Williams University advocating on behalf of imprisoned scholar Dr. Hossein Rafiee. Student Advocacy Seminars are available to all SAR member institutions, and SAR and Student Advocacy Coordinators at Roger Williams University assist faculty members and students to create an opportunity that fits their curricular needs and interests. Over the course of the seminar, students gain a deeper understanding of both the value of the academic freedom they enjoy and the risks scholars and students around the world face in the pursuit of knowledge. Students organize awareness-raising advocacy initiatives and prepare an end-of-seminar report. Previous student advocacy efforts have ranged from viral social media campaigns to birthday parties for imprisoned scholars to in-person meetings with government officials. Student-generated reports provide a valuable and lasting resource to SAR for its ongoing advocacy work on behalf of threatened scholars. In addition, students have the chance to put their advocacy skills into practice at SAR’s Student Advocacy Days.